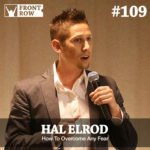 Have you ever thought about creating a front row moment for someone? Would people show up to help if you asked them to? On this episode, I am talking with my friend, Brandy Salazar. 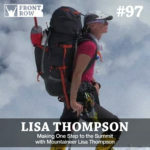 Brandy is a member of the Front Row Family, a wife, mom, and friend to many. 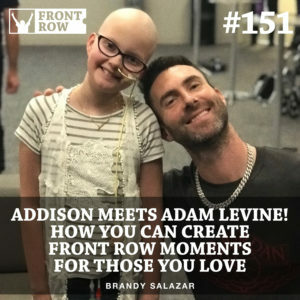 Today, she is going to share with us how she pulled together her resources and relationships to create an amazing front row moment for a little girl who is battling Leukemia. This is an incredible story of compassion. And it is a great reminder of why it is so important to step up and show up for the people in your life.